Blues lovers rejoice! True Guitar Heroes are leading the latest Bluesfest announcement! Bring on the Blues at Bluesfest! We are stoked to announce that even more of the greatest guitar players on the planet will be at the festival in 2017, with the Eric Gales, Mud Morganfield, Devon Allman and Experience Jimi Hendrix and many more joining the Bluesfest line-up. Eric Gales stands head and shoulders among other guitarists in his genre and is out to blow your mind and expand your musical horizons, in fact Joe Bonamassa calls him “One of the best if not the best guitarist in the world today”. It is with great pleasure that we add him to the 2017 line up. He is known for mesmerising fans around the world with his uncanny connection to his guitar, don’t miss this legend take the Bluesfest stage for the first time. 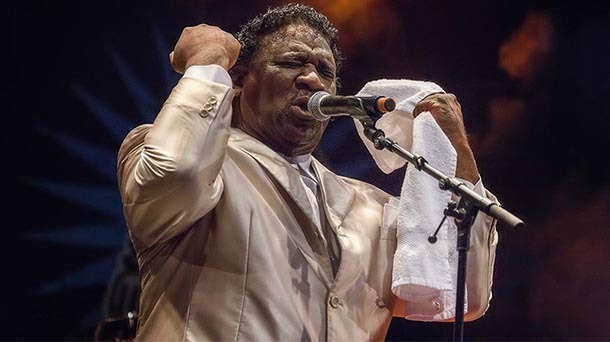 True Blues royalty will take the Bluesfest stage when Mud Morganfield performs. Mud is the son of the legendary Bluesman Muddy Waters, and has become a respected artist in his own right. He explains: I’m not Muddy Waters and I’m certainly not trying to be Muddy Waters. I’m Mud Morganfield but when I’m up on stage I always feel pops is there with me and it means so much that I can get on stage and keep his music alive around the world.” Morganfield has described the resemblance of the tone and timber of his voice to that of his father’s voice as a double edged sword. The similarity is evident in For Pops: A Tribute To Muddy Waters, an album on which Morganfield performs several Muddy Waters songs. This album won a Blues Music Award in the ‘Traditional Blues Album’ category in 2015. The sandy blonde hair is the same, the body posture is also the same, and there are touches in the voice that have a similar genetic connection, but Devon Allman has toiled long and hard to establish his own musical identity, separate from his legendary dad, Gregg Allman. In 2017 Devon Allman returns to Bluesfest on the back of his critically acclaimed new album Ride or Die which debuted at number 1 on the Billboard Blues charts. He will once again bring his first rate guitar skills and powerful vocals to the stage at the festival. You will be in for a thrill when Experience Jimi Hendrix takes the stage. Inspired by Jimi Hendrix's unparalleled creative and musical influence Experience Jimi Hendrix brings together an all-star line-up of some of Australia’s guitar greats: Jak Housden – founder of the Badloves, Peter Northcote - who has played with Dragon, Tom Jones and Shania Twain, Dai Pritchard – Billy Thorpe’s right hand man who also plays with Rose Tattoo, Steve Edmonds – of Hoodoo Guru’s fame and Grant Walmsley –founder of the Screaming Jets. There isn’t an audience on the planet more fitting for this homage to the iconic artist's songs, showmanship and trailblazing technique. We are honoured to welcome Australian-based musician Jeff Lang back to the festival in 2017. He has earned worldwide acclaim as a virtuosic guitarist, a dynamic songwriter and a startlingly unique live performer. Blending rock, roots, folk, Blues, ballads, instrumentals, improvisation and a devastatingly high level of musicality, Jeff Lang is a singularly unique performer in our world. Ray Beadle has ripped it up at Bluesfest in the past, and he is welcomed back with open arms in 2017. Ray's guitar and vocal styles evoke numerous Blues legends, whilst concocting a breathtaking style all of his own. It is not by chance that Ray has become a favourite among Australian Blues fans. We are also very pleased to announce that one of Australia’s most highly lauded Bluesmen will make his festival debut in 2017. Lloyd Spiegel is an award winning solo artist on the cutting edge of the Blues scene in Australia. There is no doubt he will be at home on the Bluesfest stage. It was his triumphant performance at Bluesfest in 2014 that sparked the recording of Glenn Cardier’s highly acclaimed album Stranger Than Fiction, so it is with great excitement that we announce his return in 2017. After a successful career in the 70s, Glenn Cardier’s re-emergence has been nothing short of extraordinary. Onstage, there are the trademark flashes of dark humour in his songs of stark beauty and thumping rockabilly/blues. Davy Knowles makes his Bluesfest debut in 2017; however he is no stranger to festivals having played Coachella, Lollapalooza and Bonnaroo with his band Back Door Slam. You know you have something special on your hands when Peter Frampton raves: “He’s definitely the gunslinger guitarist of the 21st century’’. He won the hearts of many at Bluesfest in 2016, so it’s with great pleasure that we welcome Blind Boy Paxton back in 2017. Paxton has earned a reputation for transporting audiences back to the 1920s and making them wish they could stay there for good. This young musician sings and plays banjo, guitar, piano, fiddle, harmonica, Cajun accordion, and the bones (percussion). She may be at the bottom of this announcement, but Melody Angel is destined to be at the top in the near future. She regularly performs at Buddy Guy’s nightclub Legends in Chicago, and has American Blues Scene exclaiming “Besides her playing, what makes Angel such a powerful performer, is her strongly impassioned vocals. We can’t wait to see her continue to grow. What a future she has! If you get a chance to catch Ms. Angel live, do it!” Melody Angel is an important voice and one that deserves to be heard around the world. Have not secured your tickets yet? The 3 day Friday/Saturday/Sunday ticket is one of the hottest sellers and they are running out fast, as we are now entering the final allocation. Grab your tickets now – it’s only a matter of time before more ticket types will be taken off sale. We don’t want you to miss out! You can still purchase your tickets on a ‘’Time to pay/Layby’’ plan with 4 easy payments over 3 months, but with the Festival fast approaching the ‘Time to pay’’ option will cease at the end of the month! More info on ‘Time to pay’ right here! The Blues announce at Bluesfest is one I always look forward to. Headlining this year of course is the King of the Blues – Buddy Guy for 2 exclusive plays, along with the swathe of Blues, and Blues friendly artists already announced, including, Mavis Staples, Bonnie Raitt, Booker T and the Stax Revue, Dumpstaphunk, Nikki Hill, St Paul & the Broken Bones, The California Honeydrops, Gregory Porter, The Record Company, as well as the truly amazing Beth Hart. You may not know this guy, however, we are so proud to announce Eric Gales, the sublime guitar player that Joe Bonamassa describes as the Best Glues guitar slinger of the lot right now – I guess when he says that, he is including himself. This is a do not miss for Blues fans – he WILL blow you away! Next is Mud Morganfield, performing his own songs, as well as the songs of his dad – the one and only Muddy Waters. 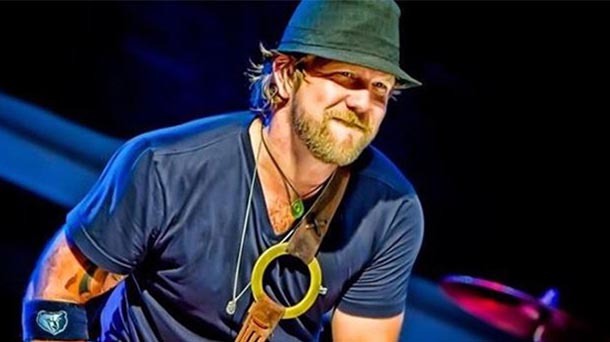 We are pleased to welcome back Devon Allman, who just had a Number 1 album on the Billboard Blues charts. They say the apple doesn’t fall far from the tree, well in this case they are 100% right, except it may have been a peach. The son of Greg Allman, from the legendary Allman Brothers, continues to spread the legacy AND the groove. Experience Jimi Hendrix is an Australian production featuring Jak Housden, the founder of the Badloves, Dai Pritchard, who was Billy Thorpe’s right hand man who also plays with Rose Tattoo and Steve Edmonds of Hoodoo Guru’s fame. They regularly sell out venues such as Sydney’s Enmore theatre with this very authentic show honouring Jimi – enjoy. 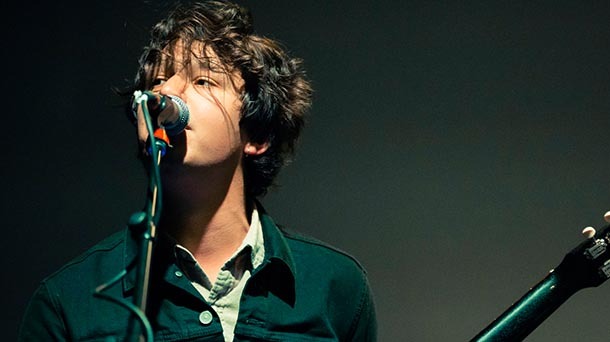 Davy Knowles (formerly of Back Door Slam) will blow you away. He is simply a brilliant guitarist and a do not miss! Melody Angel: Regulars at Buddy Guys Legends nightclub in Chicago, may have seen her play there. She is supremely talented – yet another don’t miss Blues artist. 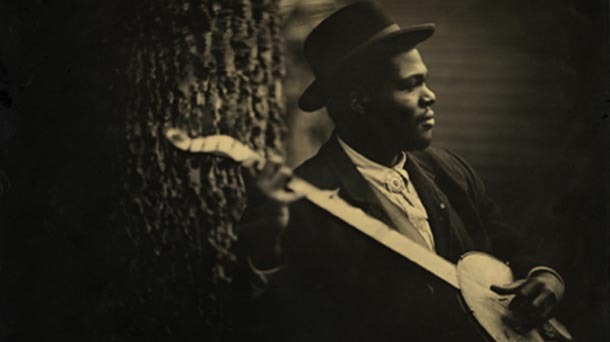 The amazing Blind Boy Paxton is returning by popular demand. The Aussie contingent includes Lloyd Spiegel, Jeff Lang, Glenn Cardier and the Ray Beadle Band. Along with those already announced, we have some truly amazing Blues artists performing this year for your enjoyment – a mix of new and returning Blues artists – right up the alley of any Blues fan, so let’s get into it at Easter! Can’t wait! A musical prodigy, Eric released his first record in 1991 at the young age of 16 for Elektra Records to an amazing response from the media and music fans around the globe. Guitar World Magazine Reader’s Poll named Eric Gales “Best New Talent,” in 1991. After recording a second record for Elektra, all three brothers teamed up in 1996 as ‘The Gales Brothers’ to record Left Hand Brand, which was recorded for the House of Blues label. Through the years, it would not be unusual to look out in the audience and see the likes of Carlos Santana, Mick Jagger, Keith Richards, B. B. King, and Eric Clapton looking on in amazement. Word was spreading about Eric as he was taking his God-given talents and working his crowds into a frenzy each night while on stage. The new millennium presented new opportunities for Eric Gales as he was signed to Nightbird Records, an affiliation of the Hendrix family. Under this deal, Eric Gales recorded the critically acclaimed record That’s What I Am in 2001 and hit the road, mesmerizing fans around the world with his uncanny connection to his guitar. 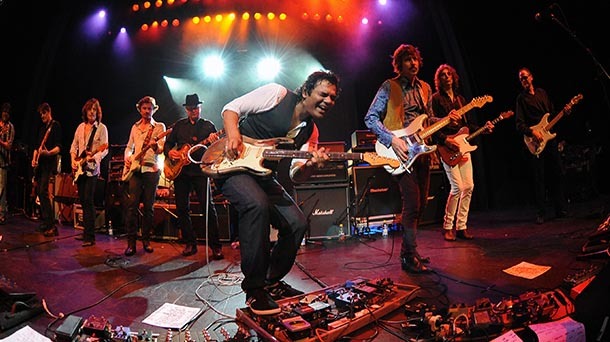 In 2006 Eric recorded the critically acclaimed Crystal Vision for Blues Bureau and set the stage for his incredible Blues Bureau follow-up, The Psychedelic Underground in 2007. Gales followed that up in 2008 with The Story of my Life and in 2010 hit a new stride altogether with the incredibly successful album Relentless. That album combined with his latest studio album Transformation released in 2011. The Eric Gales Trio recorded and released Ghost Notes, Gales’ first all instrumental recording, for Shrapnel Records in 2013. All Music Review says Ghost Notes “crackles with energy, a sturdy mix of Blues, rock, and straight-out funk fusion, and Gales’ playing is joyous and elegant by turns, making this arguably his best album yet.” His latest effort, A Night on the Sunset Strip is a live record, released on Cleopatra Records. 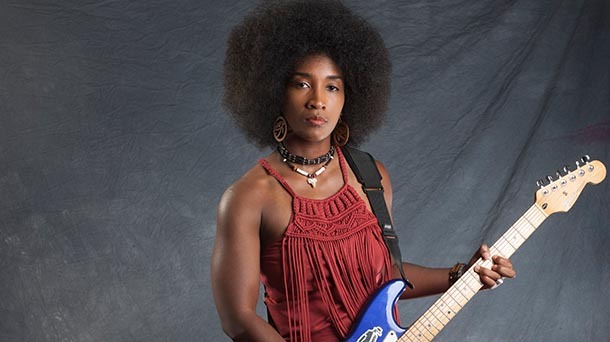 As both an African-American left-handed guitarist of extraordinary ability and an expressive vocalist, it is natural for people to compare Gales to Hendrix but Gales has developed a unique hybrid Blues/rock sound that also draws upon influences as diverse as Albert King and Eric Johnson. 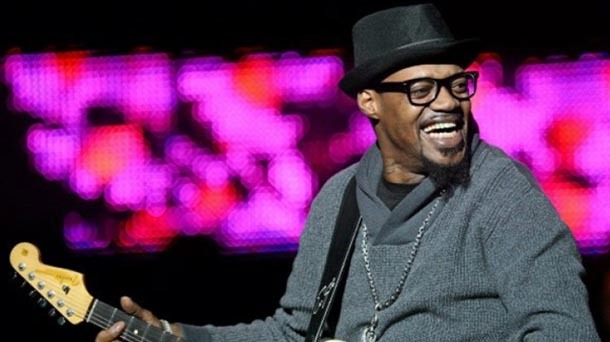 With a unique blend of rock, funk and Blues styles, Eric Gales stands head and shoulders among other guitarists in his genre and is out to blow your mind and expand your musical horizons! The road can be tough on musicians, and has certainly treated Eric Gales no differently than others. Over the years he has had his ups and downs and battled some of his own demons. As 2016 comes to an end and 2017 comes into play, Eric is clean, sober and his clarity and focus to be the very best he can be is at an all time high! There has never been a better time to see Eric Gales live. In 1954, the eldest son of Blues great McKinley Morganfield, otherwise known as Muddy Waters, Mud Morganfield (who has also gone by the name Muddy Waters Jr.), was born. He grew up surrounded by music, and particularly the Blues, and he’s played music all of his life, starting with the drums his dad gave him as a child, then moving on to the bass guitar. Supporting himself as a truck driver, just like his father did when he was first starting out, Morganfield didn’t seriously consider being a professional Blues musician until after Waters’ death in 1983, by which time Morganfield was already close to 30. Possessing a baritone voice very much like his father’s, and blessed with similar vocal phrasing and a sense of how to command a stage, Morganfield made up for lost time, cutting his teeth on the southside of Chicago. He soon became a popular draw on the Blues club and festival circuit; mixing both original songs and Muddy Waters classics into his live sets. Morganfield has described the resemblance of the tone and timber of his voice to that of his father’s voice as a double edged sword. The similarity is evident in For Pops: A Tribute To Muddy Waters, an album on which Morganfield performs several Muddy Waters songs. This album won a Blues Music Award in the ‘Traditional Blues Album’ category in 2015. Regarding his performances of Muddy Waters songs in addition to his own material, Morganfield says, “I started to sing to show the world that dad left me here. I love and am proud to sing his songs just like I love and will always be proud of him. I’m not Muddy Waters and I’m certainly not trying to be Muddy Waters. I’m Mud Morganfield but when I’m up on stage I always feel pops is there with me and it means so much that I can get on stage and keep his music alive around the world.” Mud is a dynamic performer and entertainer that can command the stage, engage the crowd, and wow them with some of the best true Chicago Blues they have ever seen. The sandy blond hair is the same, the body posture is also the same, and there are touches in the voice that have a similar genetic connection, but Devon Allman has toiled long and hard to establish his own musical identity, separate from his legendary dad, Gregg Allman. In 2017 Devon Allman returns to Bluesfest on the back of his critically acclaimed new album Ride or Die that debuted at number 1 on the Billboard Blues charts. He will once again bring his first rate guitar skills and powerful vocals to the stage at the festival. Allman did not come on the music scene riding the coattails of a famous parent. After playing in local bands and working in Guitar Center in St. Louis, Allman formed Honeytribe in 1999. One part Blues, one part rock, and one part jam, Honeytribe was named the 1999 Jam Band of the Year in St. Louis. Then, in 2011, his musical fate changed. Royal Southern Brotherhood was formed during JazzFest in New Orleans. Their debut self-titled release in 2012 caught fire the moment it hit the streets, simultaneously catapulting them as a major new attraction on the music scene. Their mixed sounds of funk, Blues, rock and jazz proved to be a force to be reckoned with. He has since branched out into solo recording, with Ride or Die debuting at #1 on the Billboard Blues charts. Recorded in Nashville this rocking, soulful and rootsy recording confidently hits on all cylinders. Best played loud the album is performed with the beautiful intensity Devon Allman has become known for. DEVON ALLMAN WILL PERFORM AT BLUESFEST EVERY DAY! Experience Jimi Hendrix is a spectacularly staged event with five of Australia’s greatest guitar players performing all the hits that made Jimi the legend he was…’Foxy Lady’, ‘Hey Joe’, ‘Watchtower’, ‘Purple Haze’ and ‘Voodoo Chile’. The show promises to culminate in a massive psychedelic fuelled jam, one that festival goers will never forget. Experience Jimi Hendrix has sold out theatres across the country and has proved massively popular to fans and critics alike who have raved about the show proving how persuasive Hendrix's influence remains, 44 years after his passing. The show is a tribute to the iconic artist's songs, showmanship and trailblazing technique. Join this stellar cast as they pull out their best axes and pay homage to Jimi. Bluesfest is excited to welcome back Australian-based musician Jeff Lang to the festival in 2017. He has earned worldwide acclaim as a virtuosic guitarist, a dynamic songwriter and a startlingly unique live performer. With a back catalogue of 16 studio albums, Jeff has been featured at major festivals, pubs, clubs, arts centres and venues internationally for the past decade. Blending rock, roots, folk, Blues, ballads, instrumentals, improvisation and a devastatingly high level of musicality, Jeff Lang is a singularly unique performer in our world. Jeff Lang’s newest record, Alone in Bad Company was released in early 2016. His most recent world music collaboration is Maru Tarang with Asin Langa & Bhungar Manganiya from Rajasthan & Bobby Singh. This group combines ancient Rajasthani folk music with Jeff’s individual “disturbed folk”. Throughout his career, Jeff has been showered with achievements and awards - the most outstanding would be his seven ARIA award nominations, as well as his three wins in 2002, 2010 and 2012. His album Carried In Mind won the 2012 Aria award for Best Blues & Roots, was awarded Album of The Year by Australia’s roots music bible, Rhythms and won the National Folk Recording Award presented by Australia’s National Film and Sound Archives. Always one to experiment with genres and instrumentation, Jeff’s world music project Djan Djan won the 2010 ARIA for “Best World Release”. Over the years, Lang has built up a devoted, almost cult-like following with his live performances. Working without a set list and allowing the unique energy of each night to shape the songs, Lang’s live shows have become much talked about. It’s been widely acknowledged that Jeff Lang is an extraordinarily individual musician. What enhances his unique nature is his steadfast adherence to a prolific and diverse musical palette and output. A songwriter, a collaborator, a guitar virtuoso and a stunning lyricist, Jeff Lang crafts songs as novellas - rich with depth and vision, yet with an open breath for individual interpretation. Ray Beadle has ripped it up at Bluesfest in the past, so they are welcoming him back with open arms in 2017. Ray's guitar and vocal styles evoke numerous Blues legends, whilst concocting a breathtaking style all of his own. It is not by chance that Ray has become a favourite among Australian Blues and music fans. His considerable talent was noticed in the early part of this century, when he performed a 3 month residency with the house band in B.B King's Club in Memphis and Buddy Guy's Club in Chicago as well as several Southern Blues festivals in the US. In 2010, Ray Beadle scored three Chain Blues Awards for Best Song, Best Album and Best Male Voice following his debut album Loaded and continued to impress critics with next release, Spellbound in 2011 and with a live album in 2013. American Blues & jazz artist Chris Cain remarked, "Ray is unquestionably one of the finest musicians I have come across… His song writing has a harmonic and emotional depth that many strive for but few capture. Ray's guitar work… well, let's just say this cat is VERY dangerous". His music comes deep from the heart and soul, rich with a deep history of the Blues from 20 years of performing nationally and internationally. We are excited to announce that one of Australia’s most highly lauded Bluesmen will make his festival debut in 2017. Lloyd Spiegel is an award winning solo artist on the cutting edge of the Blues scene in Australia. Australian Guitar Magazine recently named him as one of the top 50 Australian guitarists of all time and he recently won every prize he was eligible for at the Australian Blues Awards. 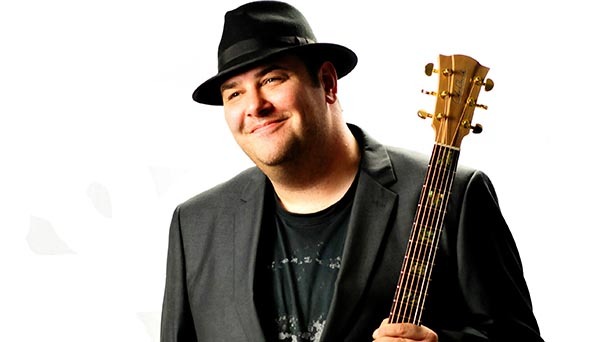 Spiegel began playing professionally at the age of 12 and has released eight albums, with the most recent ‘Double Live Set’ debuting at #1 on the Australian Blues Airplay Chart and #14 on the AIR Independent Charts in 2015. 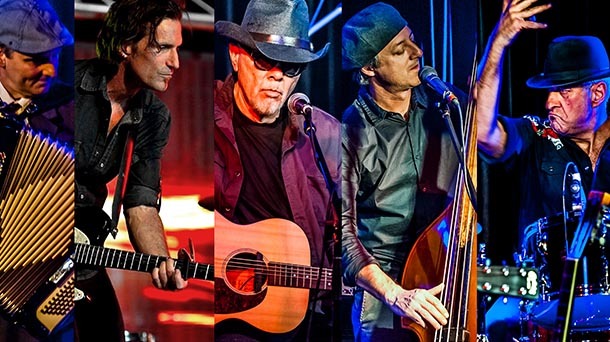 Spiegel’s unique experience, command of his instrument, storytelling, and powerful stage persona has put him at the forefront of acoustic Blues, re-inventing the style while maintaining a close relationship with its foundations and traditions. Spiegel has toured the globe with frequent visits to Europe, New Zealand and the United States where he has performed at major festivals and iconic Juke Joints, as well as supporting the likes of Ray Charles, Bob Dylan and Etta James on tour. He has sat in with the founding fathers of modern Blues from Brownie McGhee to Luther Allison and more recently, found great success in Japan, performing sold out concerts at Tokyo Disneyland. Since 2004, Lloyd Spiegel has been the world-wide demonstrator and premier endorsee for Cole Clark Guitars. Now a world famous Australian brand, Cole Clark design, building their instruments with Lloyd’s hard hitting style in mind. As a result he has been invited to perform at countless major guitar events and has been honoured with two signature model guitars, currently available in stores world-wide. There is no doubt he will be at home on the Bluesfest stage. It was his triumphant performance at Bluesfest in 2014 that sparked the recording of Glenn Cardier’s highly acclaimed album Stranger Than Fiction, so it is with great excitement that the festival announces his return in 2017. In the 70s, Australian singer-songwriter/guitarist Glenn Cardier produced three albums of highly original folk/rock songs. He played the first two Sunbury festivals and worked with the likes of Frank Zappa, Spike Milligan, and Fairport Convention. He wrote songs for Olivia Newton-John. He broke through in the tough UK folk circuit. His hard-strumming, quirky onstage persona was always at odds with his recorded work and through the 80's and 90's Cardier became increasingly reclusive. He surfaced occasionally – as front man for the Sydney pub band The Bel-Aires as well as playing rockabilly on his ’59 Gretsch around the Central Coast of New South Wales. Glenn Cardier’s re-emergence in the 2000s as a songwriter / performer of real distinction has been nothing short of extraordinary. 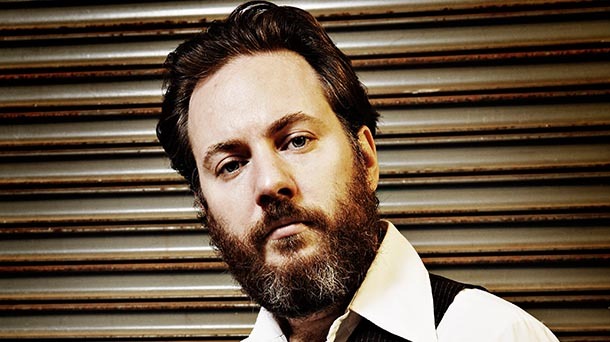 Onstage, there are the trademark flashes of dark humour in his songs of stark beauty and thumping rockabilly/Blues. There’s a touch of Beefheart in his voice, a hint of Cohen in the lyrics, a pinch of Elvis here and there. But underlying it all are the songs. Happy/sad songs. Sweet/crazy songs. Cardier songs. Davy Knowles makes his Bluesfest debut in 2017, however he is no stranger to festivals having played Coachella, Lollapalooza and Bonnaroo with his band Back Door Slam. The journey began for Davy Knowles growing up in the Isle of Man, learning to play guitar from listening to the likes of Gallagher, Clapton, Knopfler, Green and Mayall from his father’s record collection, and honing his skills playing the local music circuit. Knowles's professional career started with a bang – arriving in America age 19 with his band, an acclaimed debut album and rave reviews at SXSW 2007. From that dynamic introduction, Knowles proceeded to make a significant impact across US media – from memorable TV performances on Jimmy Kimmel and Good Morning America, to a three year run at radio with the singles 'Come Home' from the debut album Roll Away and 'Tear Down the Walls' and 'Coming Up For Air’ from the Peter Frampton produced sophomore album – both albums Top 3 Billboard Blues Chart. His 2016 album Three Miles From Avalon sees Davy returning to his roots, and the sounds that first ignited his passion for music. Recorded exclusively in his adopted hometown of Chicago, the capital of electric blues, provided Knowles with a landscape steeped in legend, inspiring him to creatively explore the genre of music he’s always loved – energetic, guitar driven blues-rock. The album reveals the musical influences close to Davy’s heart, showcasing his love of blues and classic rock with affection. 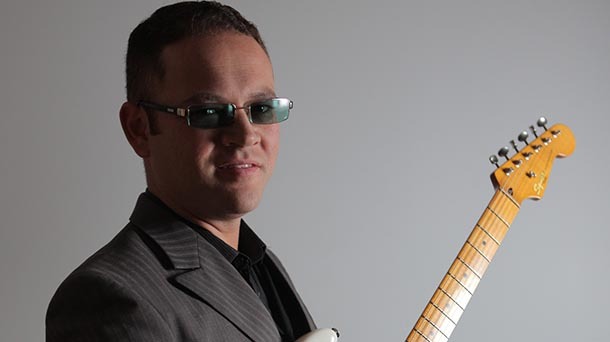 Knowles is known for his confident and distinctive guitar playing, commanding solos and tight-knit band, who possess not only stunning technical ability, but soul too. He won the hearts of many Bluesfest fans in 2016, so it’s with great pleasure we welcome Jerron “Blind Boy” Paxton back in 2017. Paxton has earned a reputation for transporting audiences back to the 1920s and making them wish they could stay there for good. This young musician sings and plays banjo, guitar, piano, fiddle, harmonica, Cajun accordion, and the bones (percussion). He has an eerie ability to transform traditional jazz, blues, folk, and country into the here and now, and make it real. He is also renowned for mesmerising audiences with his humour and storytelling. He's a world class talent and a uniquely colourful character. Mastering many styles including country and delta swap blues, Paxton is the real deal and someone Bluesfest is proud to bring to Australia so that audiences here can discover this wonderful artist for themselves. She may be at the bottom of this announcement, but Melody Angel is destined to be at the top in the near future. Born and raised on the south side of Chicago, she began playing guitar at the age of thirteen. Even though her mother was barely getting by raising two children alone, she found a way to introduce Melody to her first Fender Stratocaster by buying the guitar out of a window of a pawn shop. This investment has been rewarded as Melody now plays regularly at Buddy Guy’s nightclub Legends, which is considered a stamp of approval by the great himself. In her single ‘In This America’ which is dedicated to “all the mothers that have lost their black sons unjustly” she sings “How do I know it’s safe to have a son in this America?” and it is impossible not to be moved by her powerful words and heartbreaking delivery. Melody Angel is an important voice and one that deserves to be heard around the world.